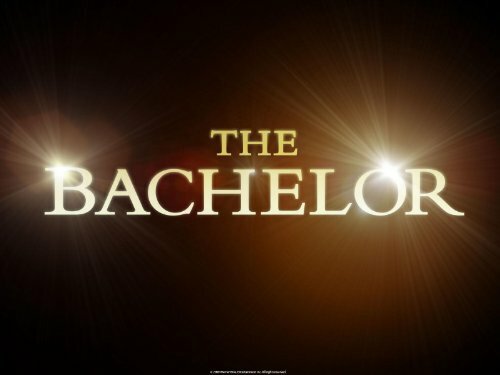 Quick Take: The Bachelor (Sean Lowe), "Week 1"
Review: The Bachelor (Sean Lowe), "Week 1"
(S1701) I can’t believe this show is in its seventeenth season! And I can’t believe that I am still watching. I continually ask myself why, but when it comes down to it, I can’t help but to tune in to my favorite guilty pleasure. This season it is Emily Maynard’s third runner-up, Sean Lowe, that has come back to hand out the roses. We start Sean’s journey off with an introduction package complete with a showing of him being a family man, lots of bare chest shots and an awkward reunion with Arie. They have some banter regarding Emily’s choices, Sean thinking he had it in the bag, and they discuss how Sean is going to break up with the girls and how he is going to kiss them. This whole scene is pretty random and I admit I forwarded most of it. The ladies are up next and we get a few introductions. There is Desiree, who is a bridal stylist and obviously is tired of helping other women style their weddings and wants to plan her own. Tierra says she wants to have a family because she is family oriented. Diana is a single mother of two. Ashley has a cat in her life and is obsessed with 50 Shades of Gray. Lesley is from Washington DC and tired of all the nerds and politicians in the city and there is Kristy who is a model and thinks the girls are going to be jealous of her. Now it is Sean’s turn to meet the ladies! Most of them seem pretty normal, with a few having awkward introductions. There is singing, a weird handshake, a girl in a wedding dress and even some yoga breathing. The craziest goes to 50 Shades Ashley who actually pulls a neck tie from her cleavage to ask Sean if he can show her how to use it later (people who have read 50 Shades of Gray would know what it means). When Tierra meets Sean, he is so enamored that he breaks the rules and gives her a rose before she even walks into the house. When she does go in, tension rises when the other women see her rose. There are two women that come from the limos that have been here before. Paige, from Bachelor Pad 3, is back because maybe she hasn’t experienced enough shame in her life? Kacie B is back too, who we last saw on Ben’s season of The Bachelor, having met Sean before and wanted to see if something could be between them. I have always liked Kacie and am definitely rooting for her. Not rooting for her are the rest of the ladies who have this ridiculous idea that Kacie had her chance with Ben and doesn’t deserve to be there. Time for the cocktail party and Sean starts to hand out roses left and right. It is Desiree who acquires the second rose of the evening and it makes the women freak out. They have no idea what is going on since this hasn’t happened before. Paige wonders if there is more than one first impression rose, but it is just Sean changing things. This strange event leads the girls to drink more and pretty soon wedding dress Lindsay and 50 Shades Ashley are drunk. They both have awkward moments with Sean and are not given roses right away. This whole party went so fast I hardly noticed who had roses and who didn’t. It was also hard to see who stood out among the group. Girls who I did notice and like were Sarah, who was born without one of her arms. She seems to be the most sincere out of the group. She has a heart to heart with Sean about the situation and she ends it with a rose in her hand. Taryn seems genuine too, not wanting to get in there and steal Sean away from people. This is a nice gesture, but on this show you have to be ruthless. At the rose ceremony, there are only seven roses left with Sean giving out twelve during the party. Amanda, Leslie M., Kacie, Kristy, Daniella, Taryn, and Lindsay are the lucky ladies to receive them along with Tierra, Selma, Robyn, Jackie, Leslie H., Sarah, Brooke, Catherine, Katie, Diana, Desiree and AshLee F. 50 Shades Ashley and Bachelor Pad Paige are among the ones to go home. My advice to Paige, just go and forget that you participated on these shows! This first episode was one of the most drama free Bachelor premieres I have seen. There seemed to be a couple of snide comments here and there, but nothing really happened. I hope this is not how the rest of the season will go. The second episode usually shows off the ladies more and sets the tone for the season. I do like Sean and think that he is going to be a good Bachelor.